Yup'ik artist, Dance mask, Alaska, ca. 1916–18. 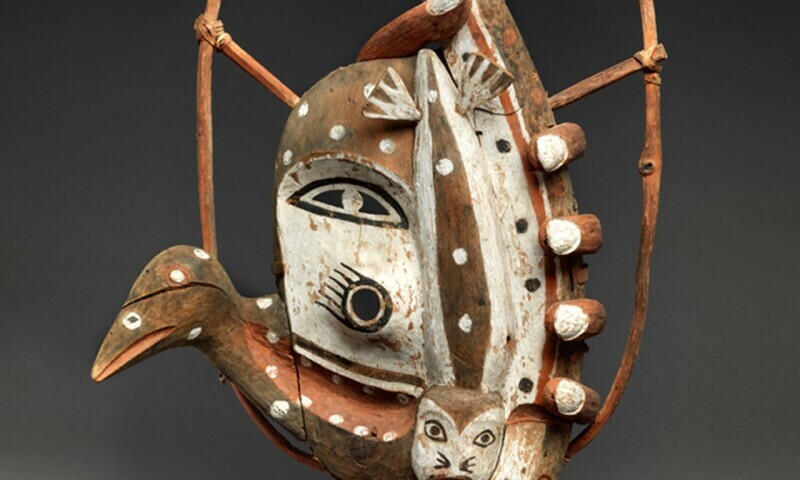 This landmark exhibition in the Museum's American Wing will showcase 116 masterworks representing the achievements of artists from more than fifty cultures across North America. Ranging in date from the second to the early twentieth century, the diverse works are promised gifts, donations, and loans to The Met from the pioneering collectors Charles and Valerie Diker. Long considered to be the most significant holdings of historical Native American art in private hands, the Diker Collection has particular strengths in sculpture from British Columbia and Alaska, California baskets, pottery from southwestern pueblos, Plains drawings and regalia, and rare accessories from the eastern Woodlands.